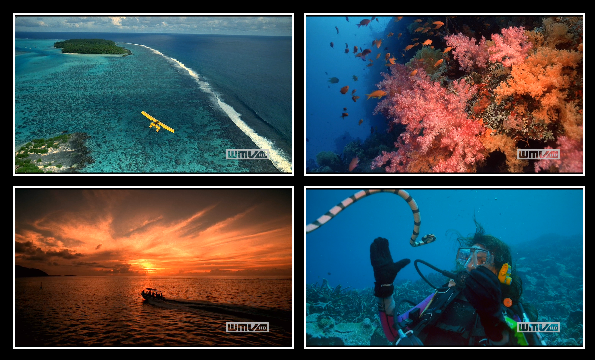 All screen shots captured over a 'Black' Windows Desktop. 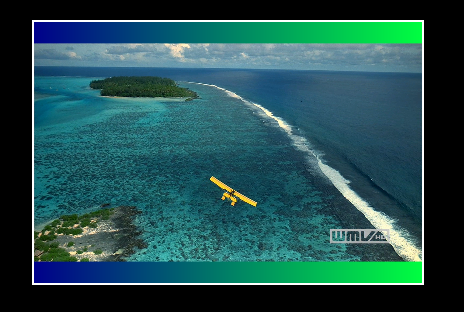 You can set the Windows Desktop to any color or background image desired. Click on any image thumbnail below to see a full size screen shot. Manage the list of videos. Fast copy, cut, paste video editing. Play video simulaneously or separately. Loop videos for continuous play until stopped. Descriptors for console operator instructions. View and print the full video design. Run, Stop Pause/Resume automation Scripts. 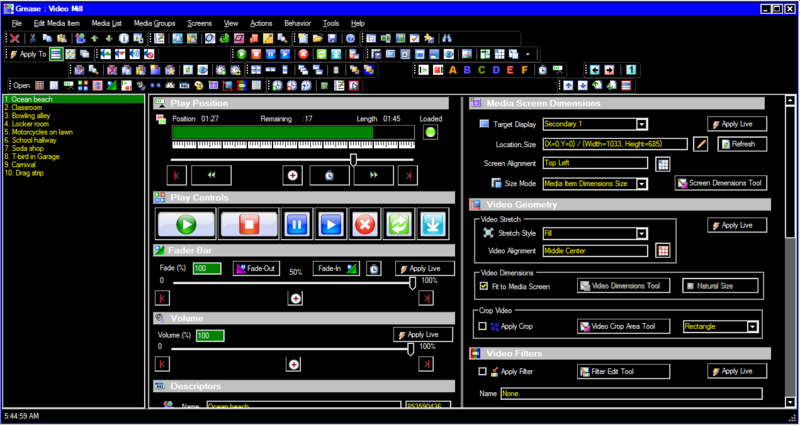 Scripts can Load, Play and control multiple Media Screens. Fast copy, cut, paste for editing automation Scripts. 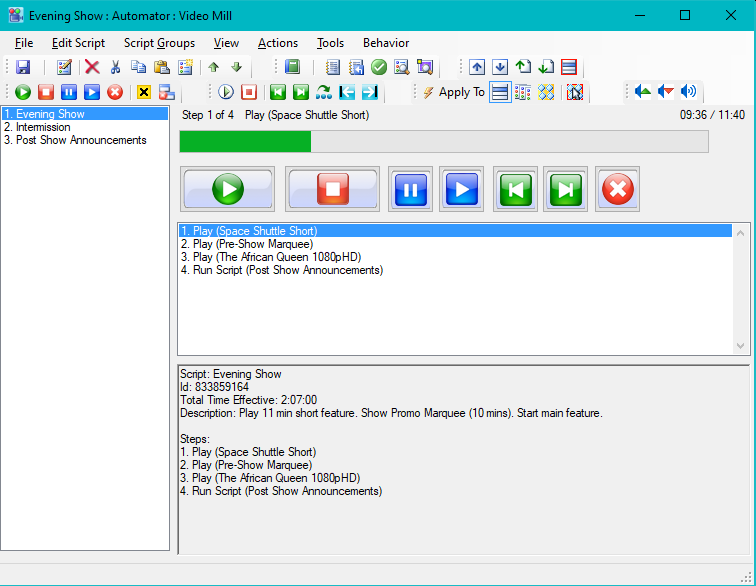 Scripts can play videos in sequential Playlist mode. Or time automation Steps to execute with precise timing. Easy to use Graphical User Interface to author automation Scripts. Add automation Steps with one button click. Easy duplication, reordering and deleting of Steps. Scripts can repeat a specific number of times or Loop continously. 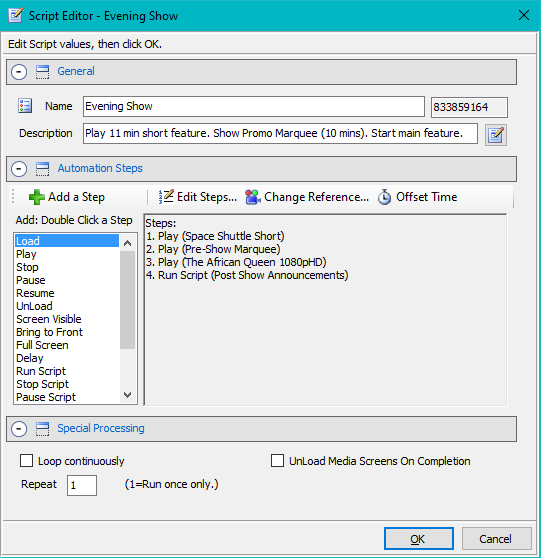 Option to Unload all Media Screens when Script completes. Virtually no limit to number of simultaneous video screens. Limited only by your computer's horsepower. Set a reference location, then click Tile Screens. Each Screen separately sizable if desired. Video will stretch or shrink to fit the screen. Set a reference location, then click Cascade Screens. Configurable X and Y Offsets determine amount of overlap (or none). 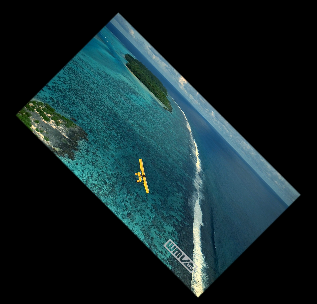 Play videos over a custom background. See YouTube video of this In-Store Sales Display. See the Users Guide for instructions to achieve this effect. 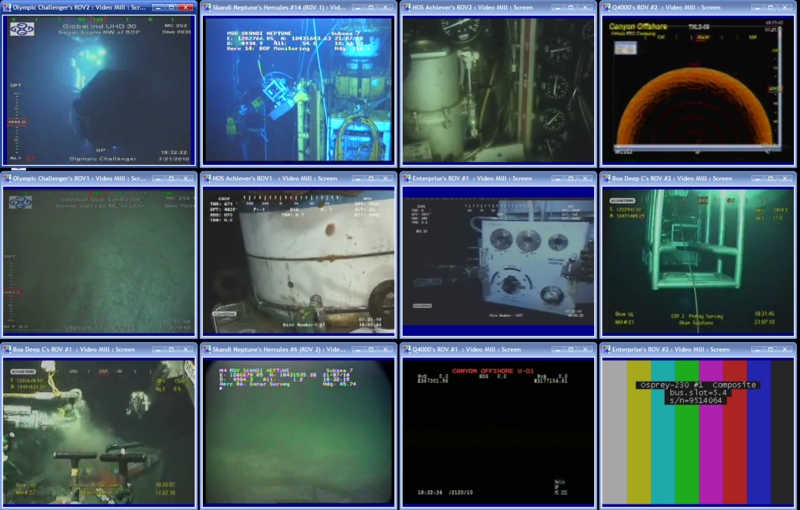 Example: Deep Water Horizon remote submersibles ( ROVs) camera feeds. Build your own home/business security command center with networked Webcams. Animate transition for one angle to another. Any value 0 to 360. Set time duration of the animation. 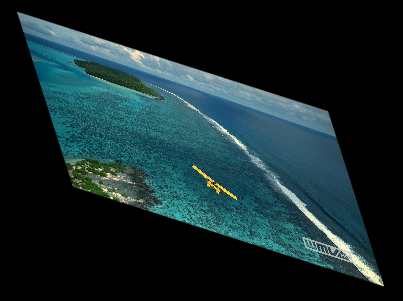 Example shows rotated Screen, 45 degrees. Sides bend by number of degrees while staying parallel. Create dazzling Screen flipping animation. Skew on X (horizontal) axis, or Y(vertical) axis, or both. 0 to 360 degrees. Example shows 15 degree Skew on both X and Y axis. 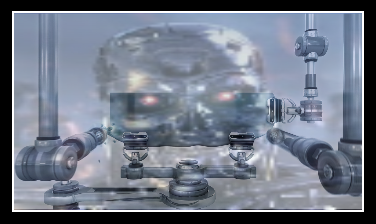 Video can play over a background image ( 50% Opacity over a Robot's head in this example). Create fade-in and/or fade-out animations. Set Opacity from 0% to 100%. Set a Border and its width (or none). White border shown in example. 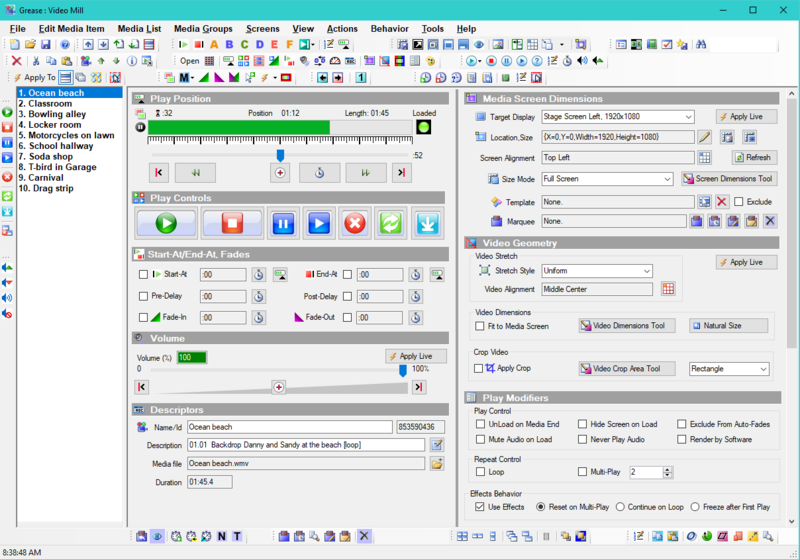 Set Screens Background to: Single color, Two color gradient, or image file. Depending on Screen size and video aspect ratio, more or less (or none) of the background will show.